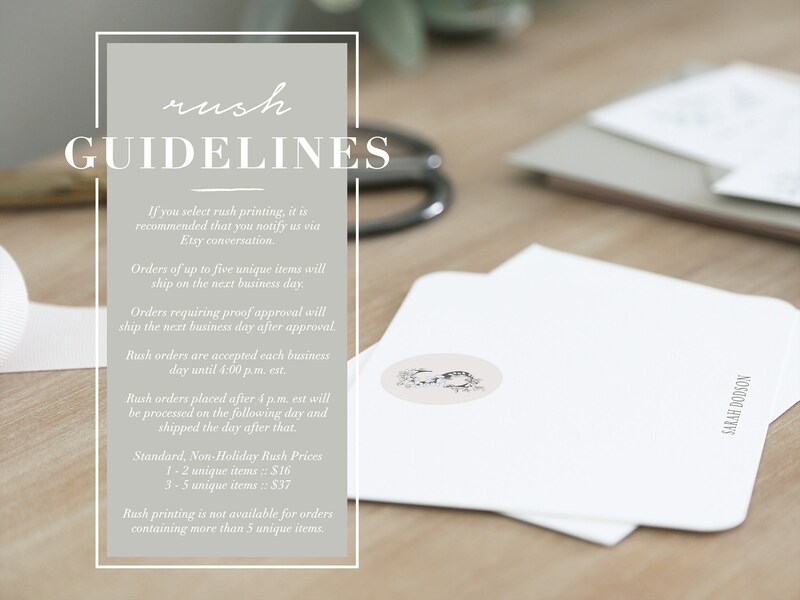 • If you select rush printing, it is recommended that you notify us via Etsy conversation. • Orders of up to five unique items will ship on the NEXT business day. • Orders requiring proof approval will ship on the next business day after approval. • Rush orders are accepted each business day until 4:00 p.m. EST. • Rush orders placed after 4 p.m. EST will be processed on the following day and shipped the day after that. • Rush printing is not available for orders containing more than 5 unique items. 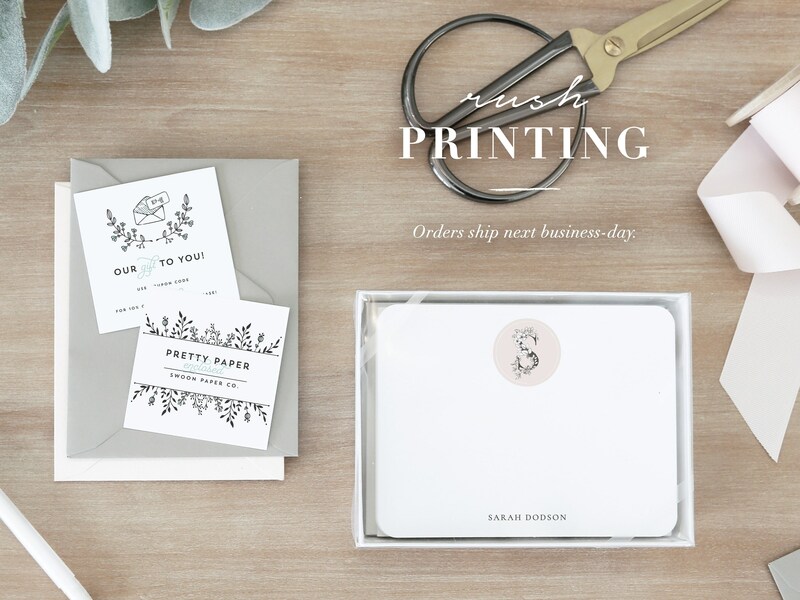 Swoon Paper Co.'s customer service is amazing. Thanks!